A totally immaculate and original example throughout. 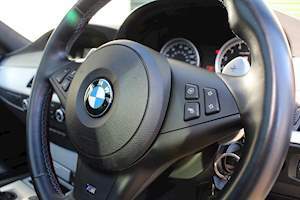 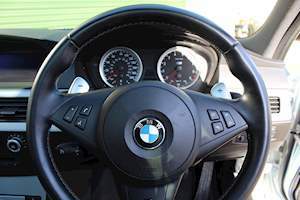 Full BMW main dealer service history including running-in service. 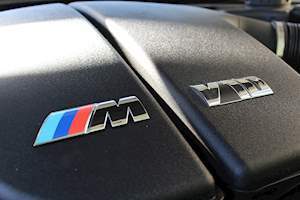 111 point check by BMW 6 months ago with remainder of BMW extended warranty valid til July 2019. 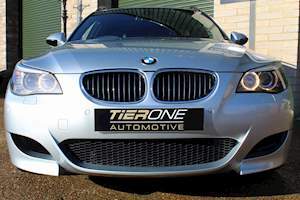 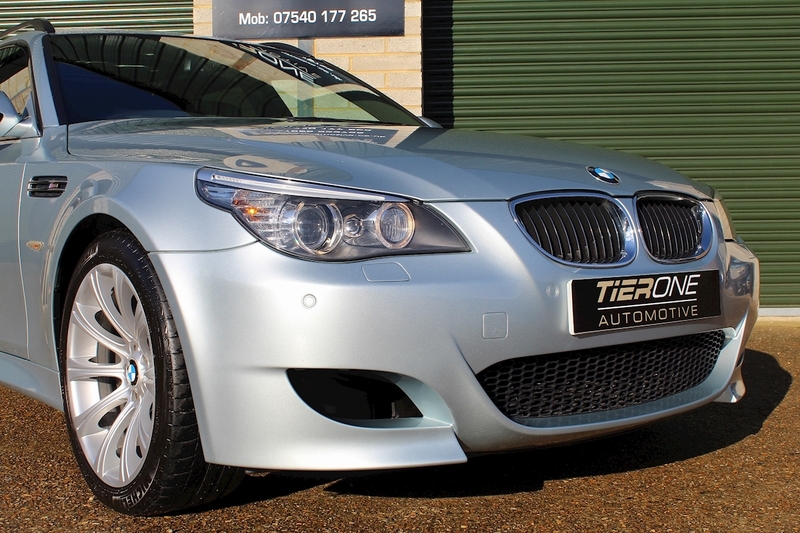 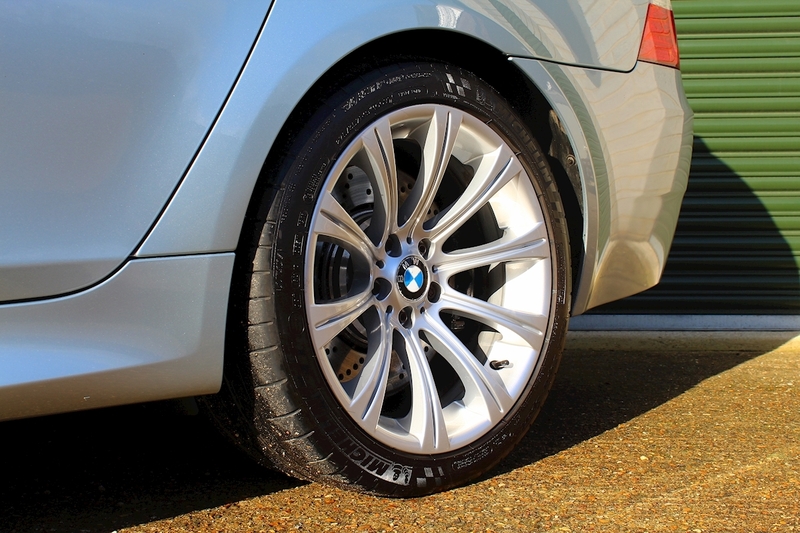 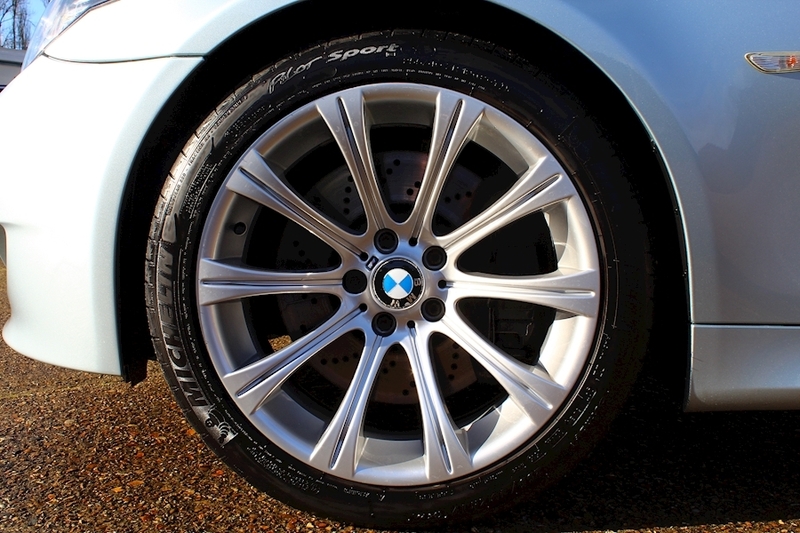 Full set of brake discs, pads and Michelin pilot sports fitted within the last 1,700 miles by BMW. 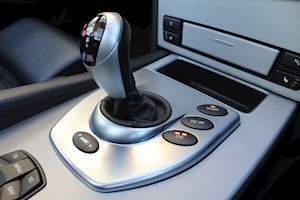 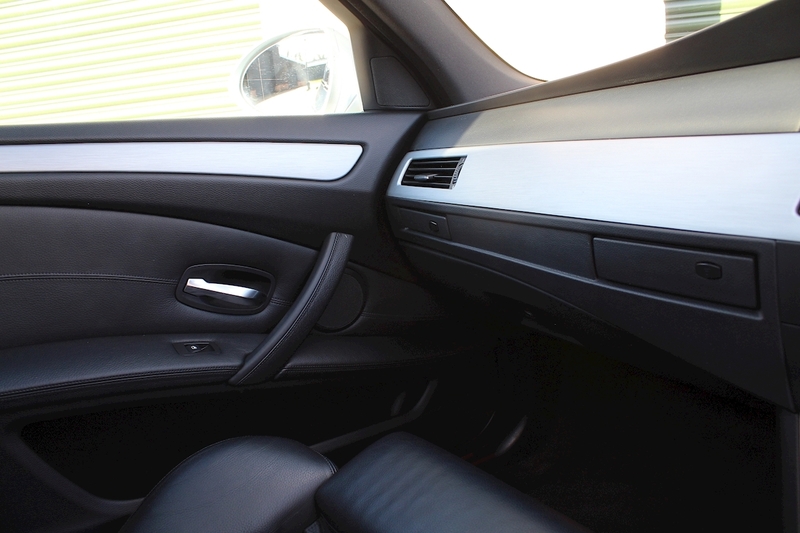 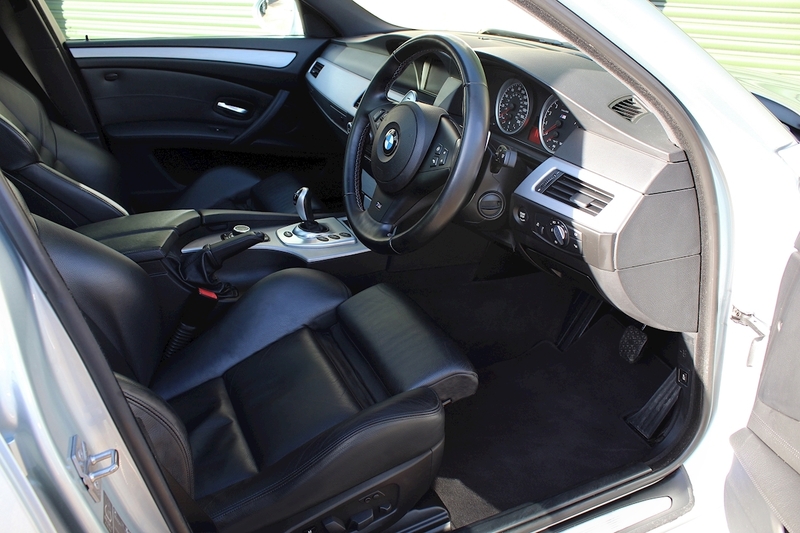 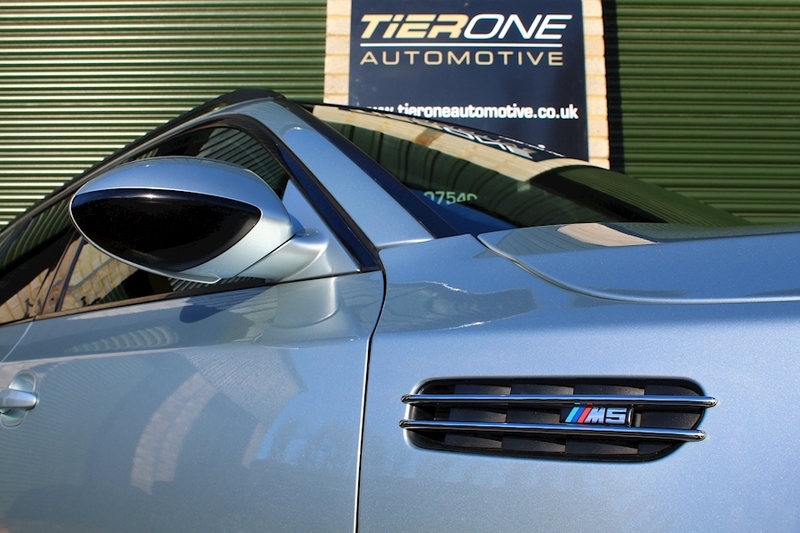 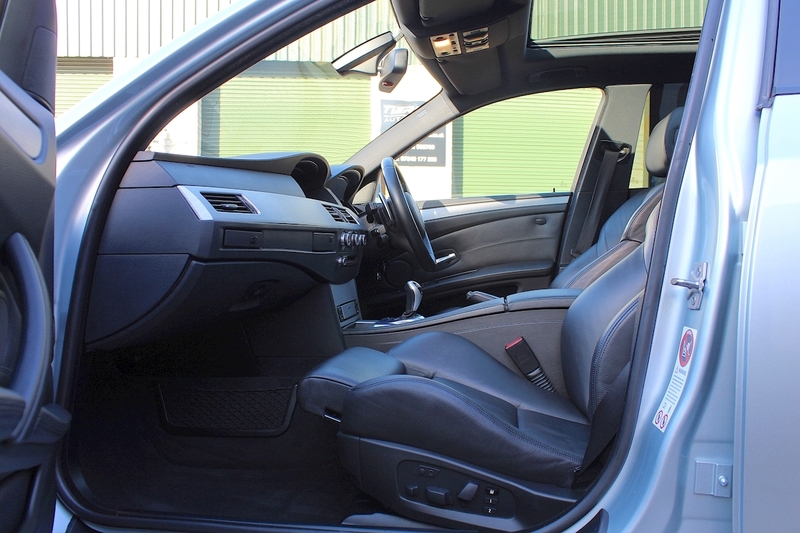 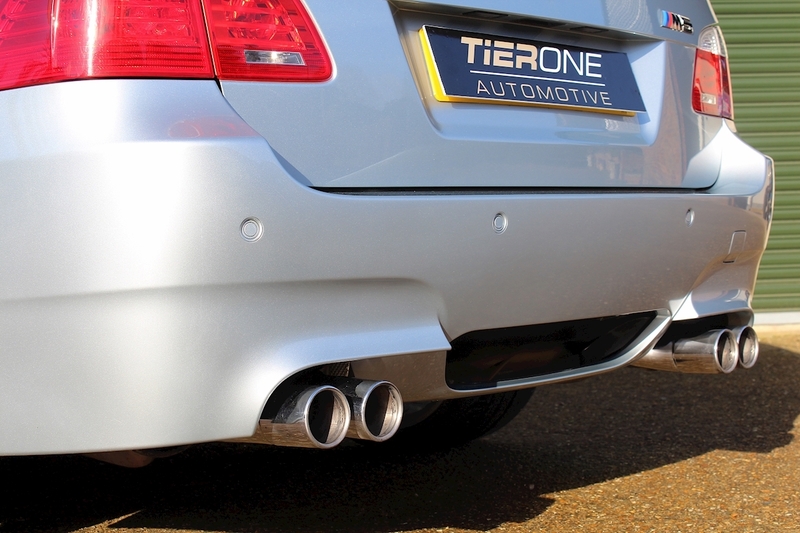 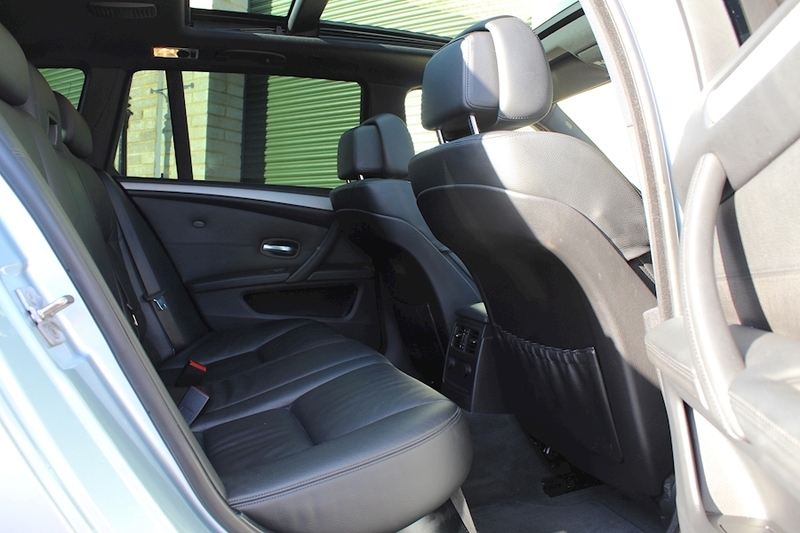 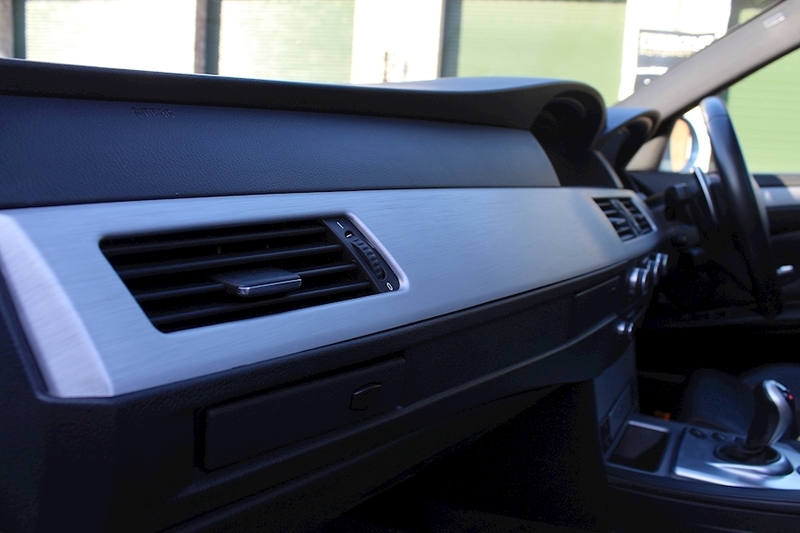 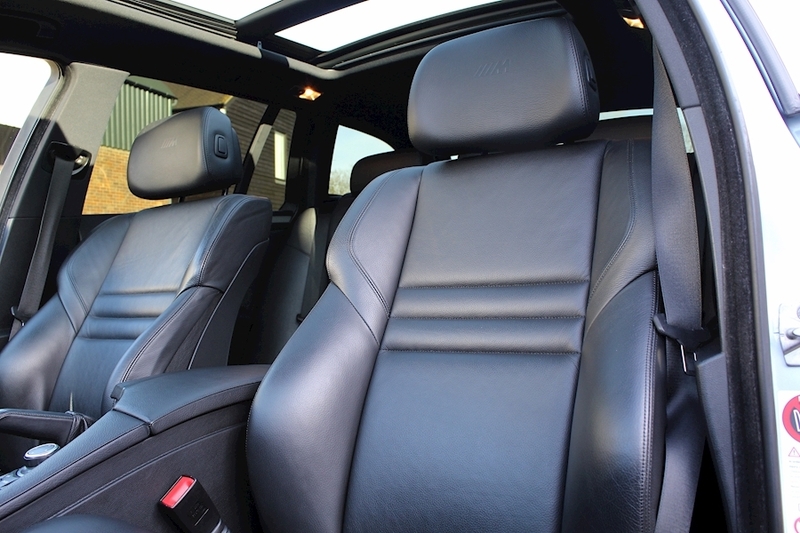 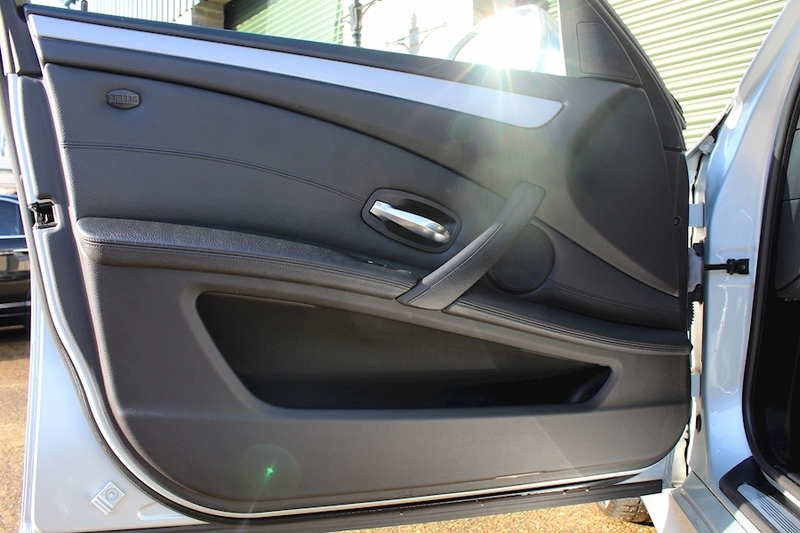 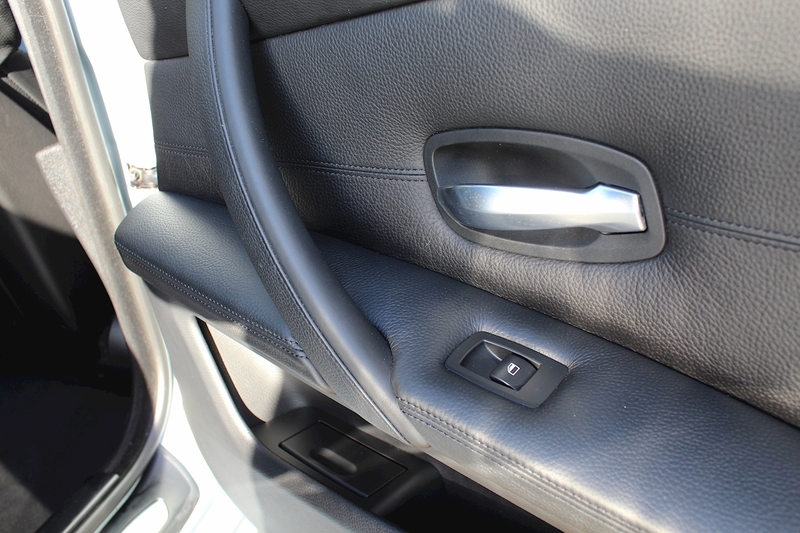 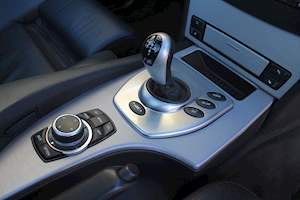 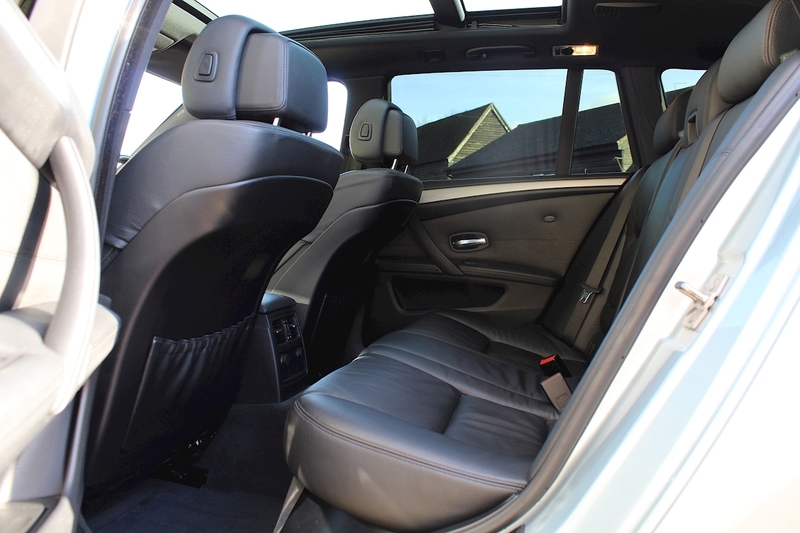 Vehicle has been maintained to exceptionally high standards throughout it's life. 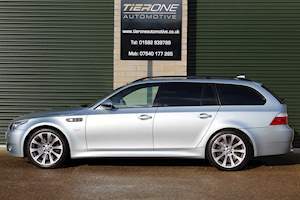 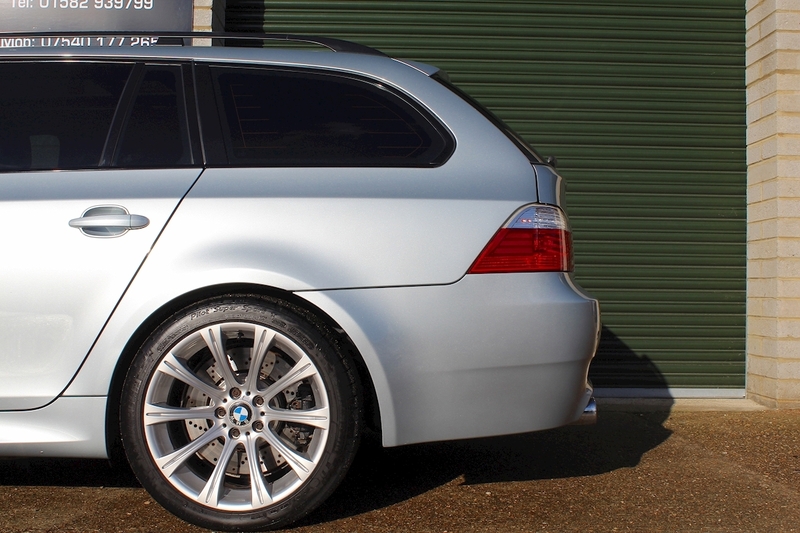 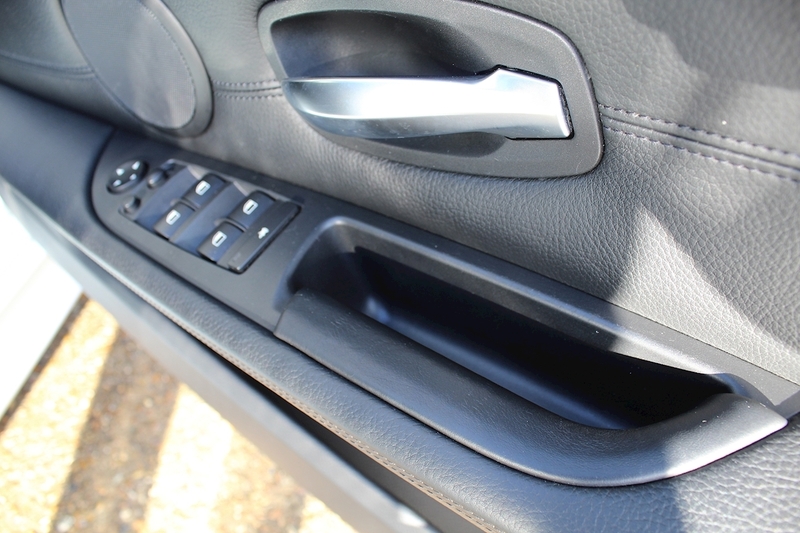 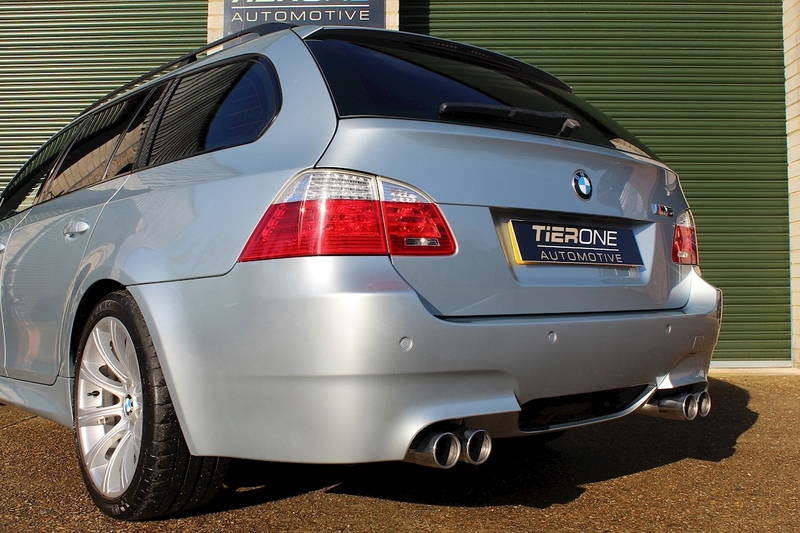 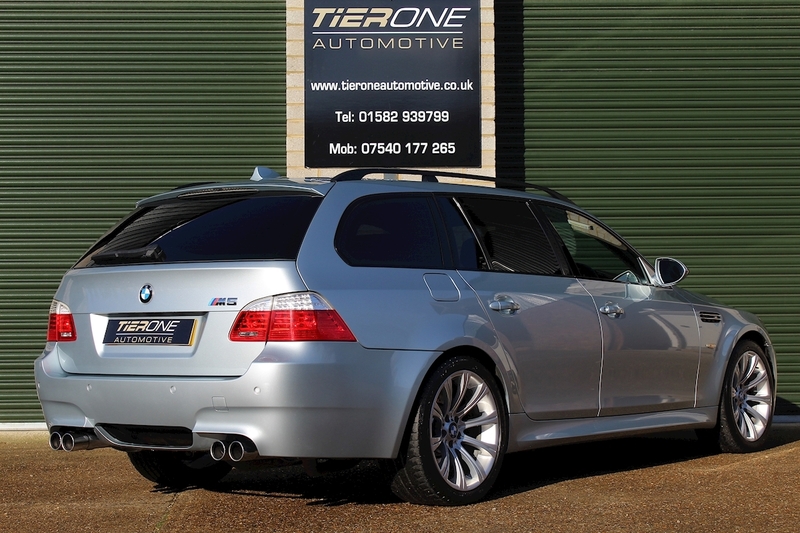 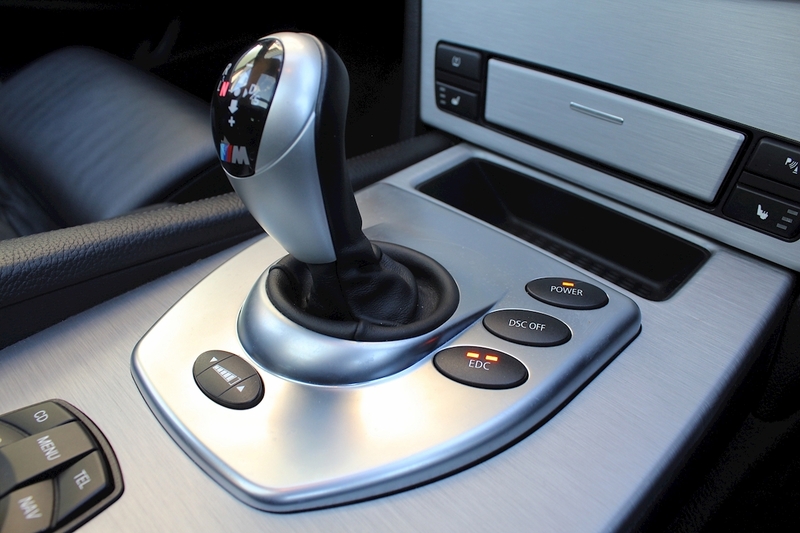 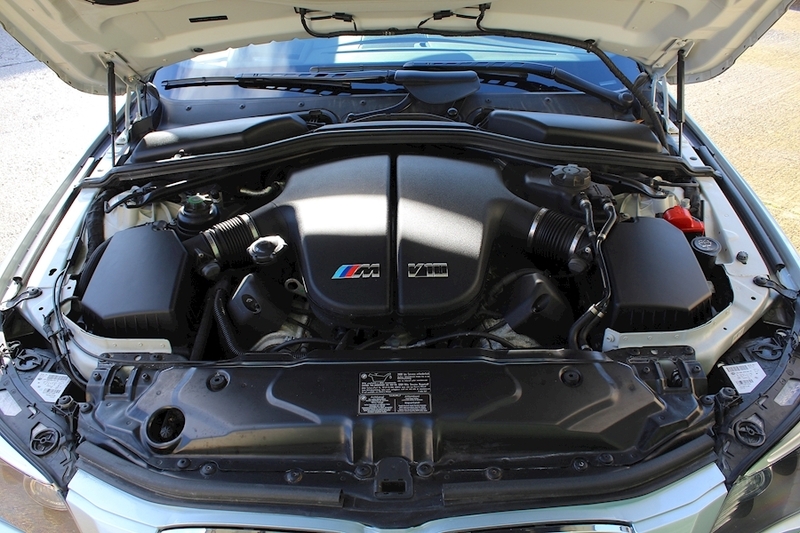 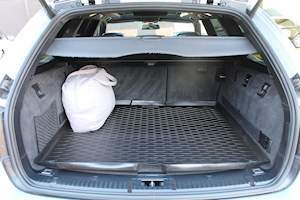 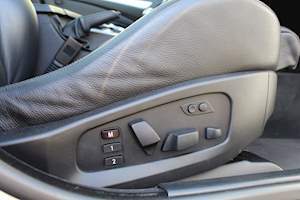 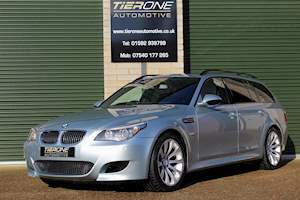 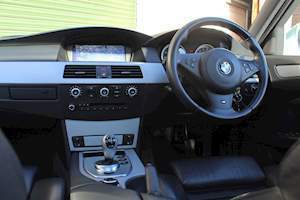 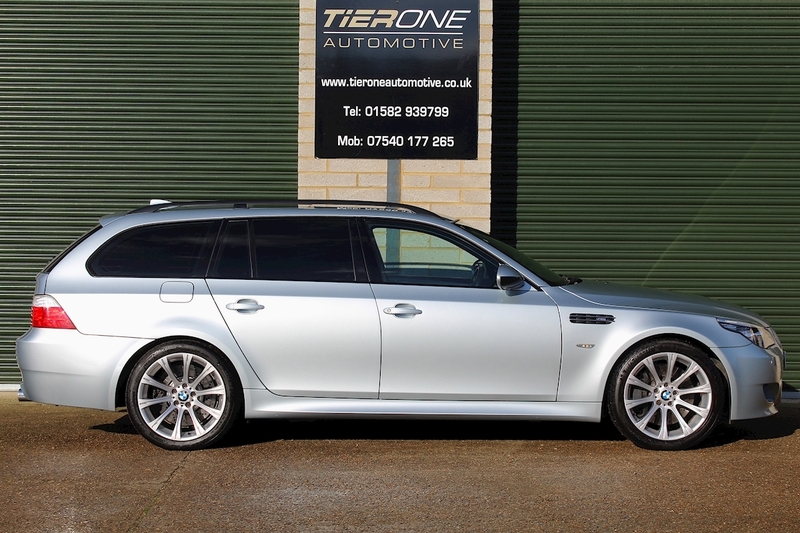 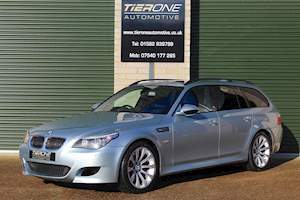 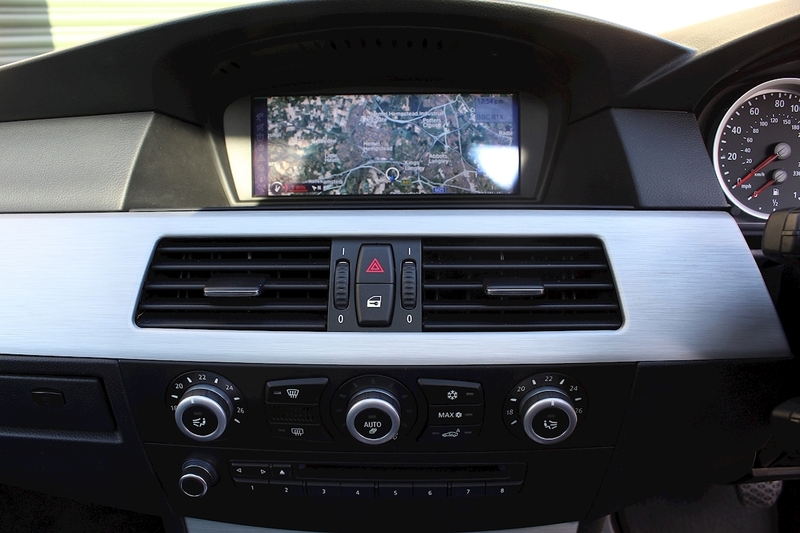 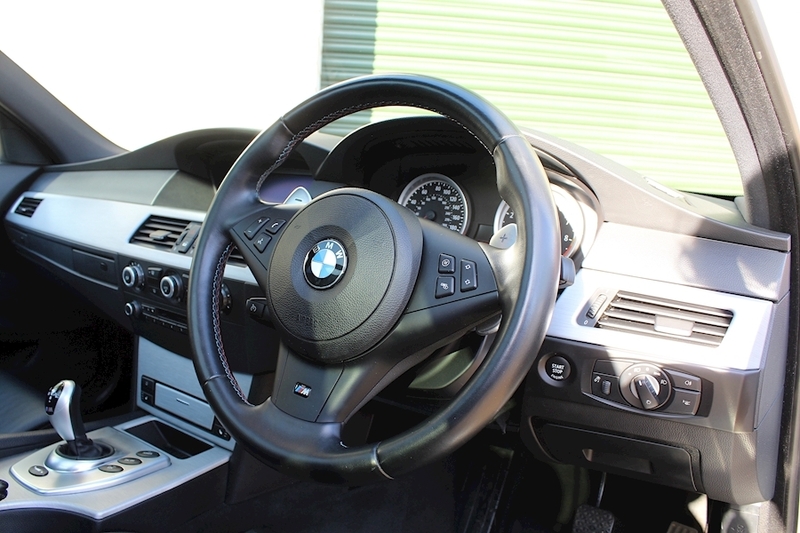 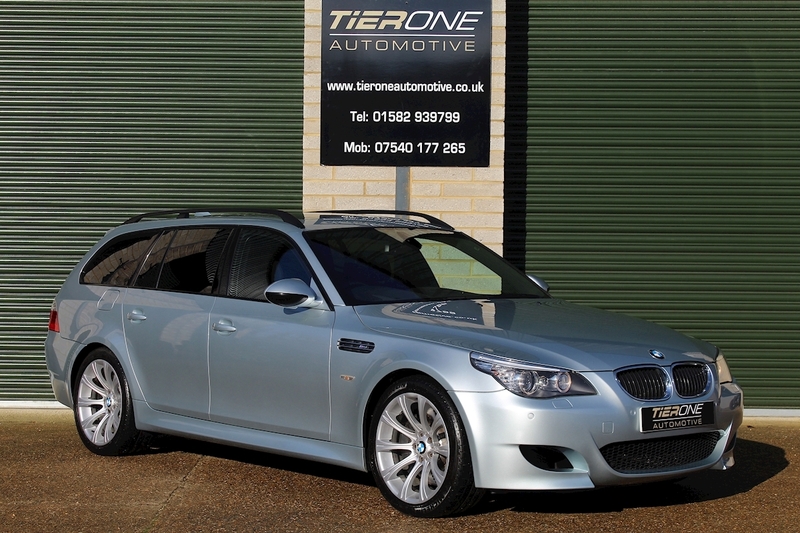 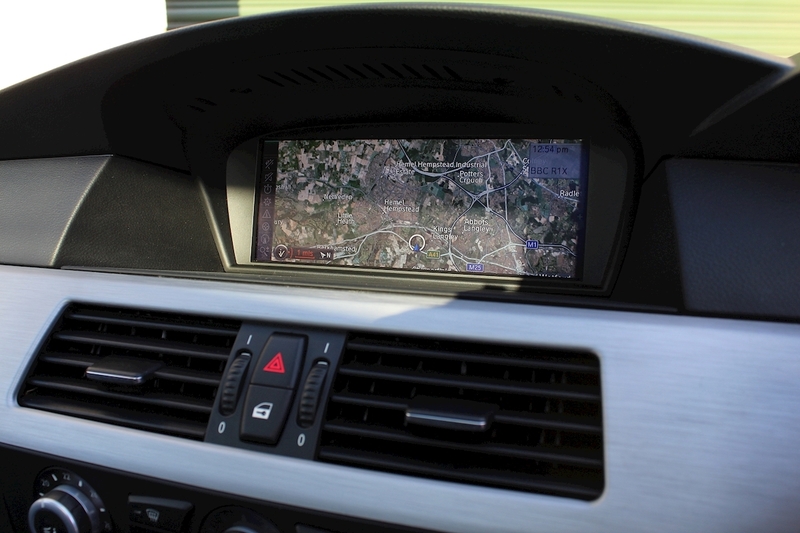 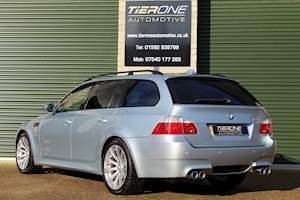 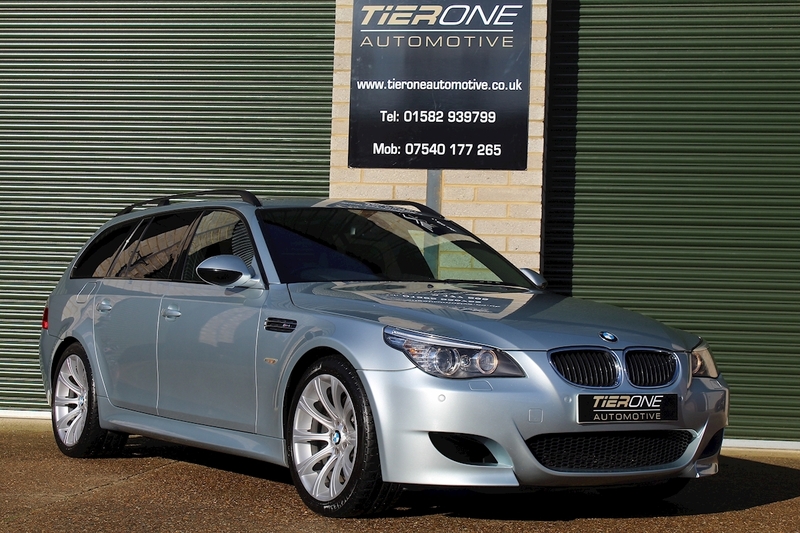 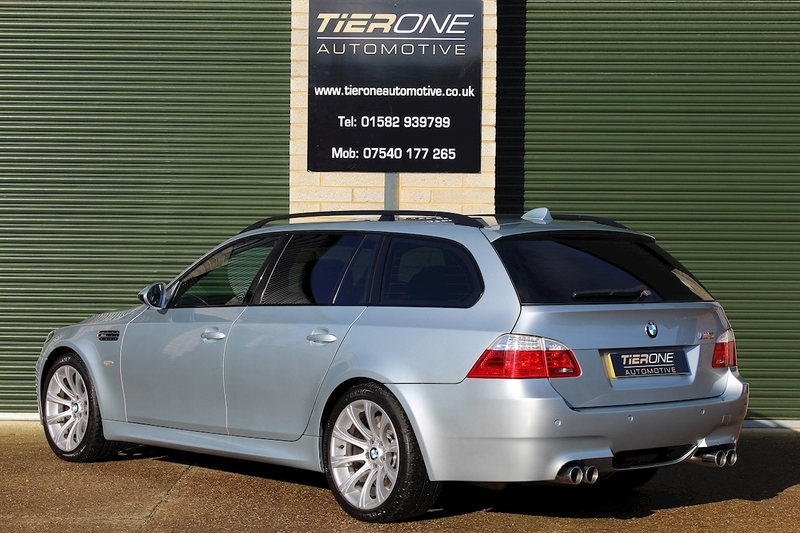 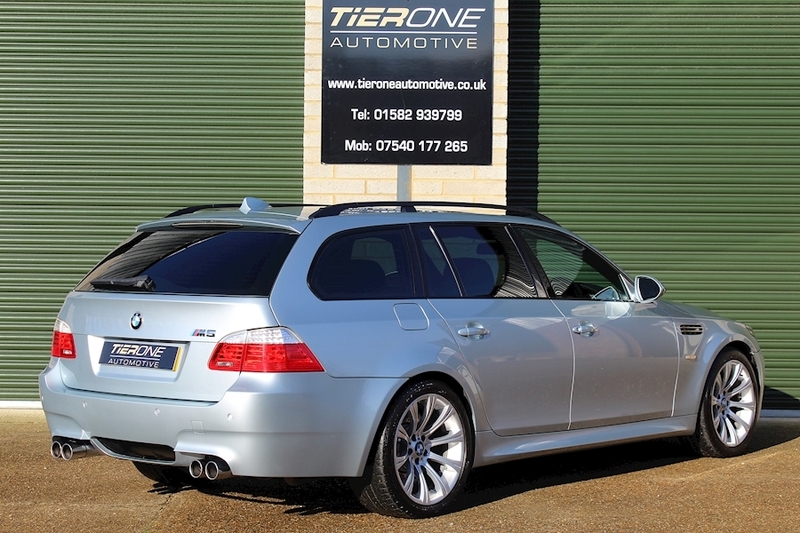 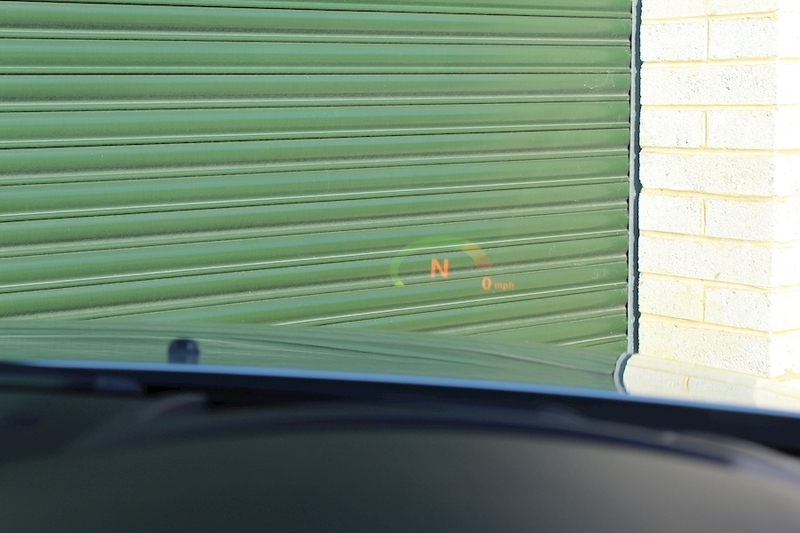 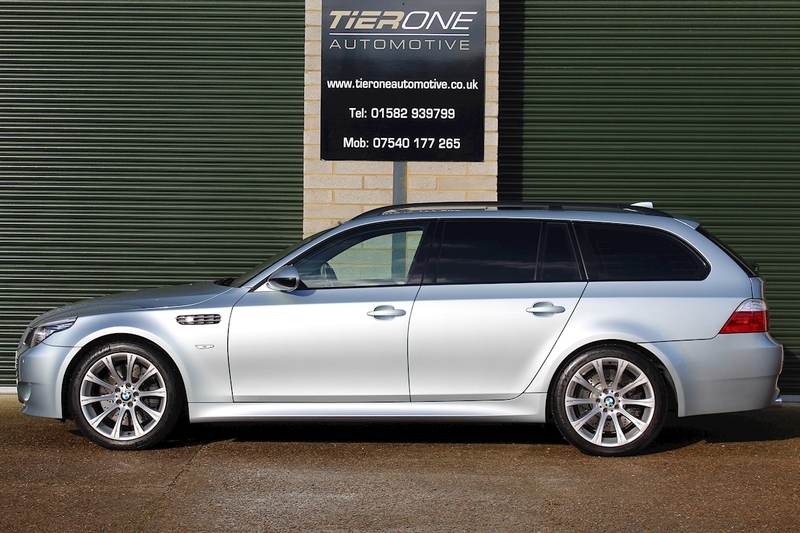 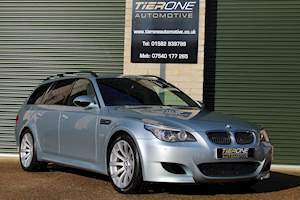 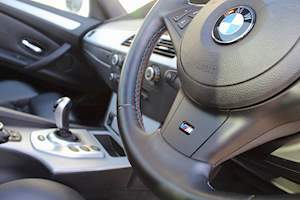 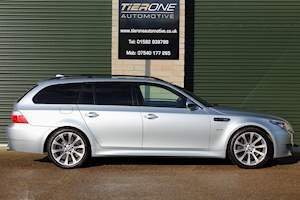 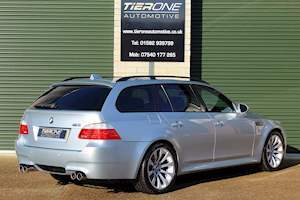 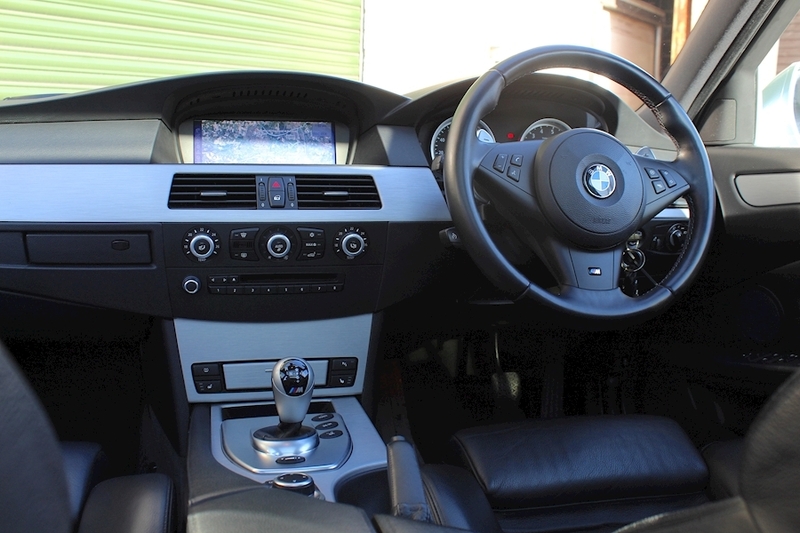 Confirmed by BMW as being the 4th last BMW M5 Touring produced this example was fitted with the revised I-Drive system found in 2010-2014 models. 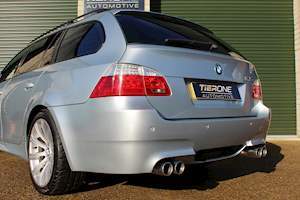 A rare opportunity to become the owner of a soon to be classic. 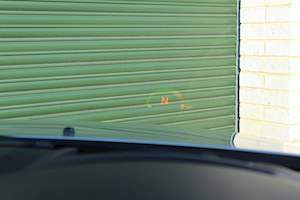 The best example on sale today. A real one-off. 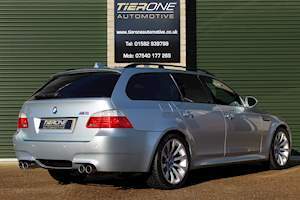 Silverstone II | Full Black Merino Leather | 19" M Double Spoke M5 Alloys | High Gloss Shadow Line Exterior Trim | Brushed Aluminium Shadow Line Interior Trim | Revised I-Drive System | Professional Satellite Navigation | Enhanced Bluetooth | DAB | USB Audio Interface | BMW Assist | BMW Assist Online Portal | BMW Teleservice | Hi-Fi Speaker System | Head-up | Panoramic Roof with Tilt and Slide Function | Adaptive Xenon Headlights | 14 Was Electrically Adjustable Seats Front Seats with Driver & Passenger Memory | Heated Front Seats | Electrically Adjustable Steering Column | Front & Rear PDC | Electric Folding Exterior Mirrors with Anti-Dazzle | Auto Open/Close Boot Lid | Cruise Control | Exterior Light Package | Interior Light Package | Multi Function Steering Wheel with M Control | Storage Pack | Load Through Rear Seats | Privacy Glass | Fitted Mats | Fitted BMW Boot Mat | Fitted Car Cover | For full details please contact us.